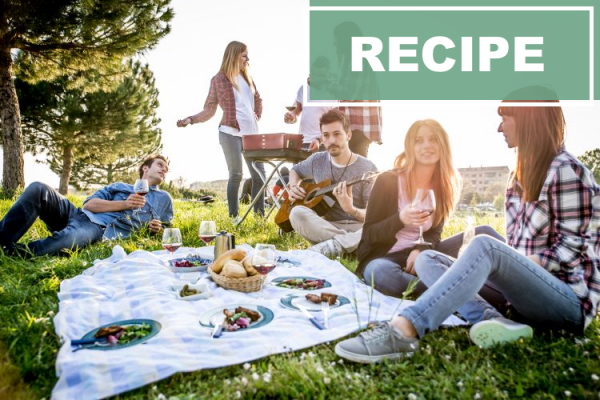 Top 5 super easy vegan BBQ tips for this summer! Summer is coming, which means it’s time for outside dinners and late-night BBQ’s. Often times people think that a BBQ is all about meat – but they couldn’t be more wrong! We have some amazing tips in store for you, and we can’t wait to share them. Because why should a vegan BBQ be any les tasty? Here are our top 5 easy-peasy favourites! 1. This is a super quick one! Grill your Tofurky hotdog, and put it in a bun with some ketchup and mustard. A classic – enjoy! 2. Another classic, with a vegan twist: take your Gardein beefless burger, and grill it on the barbecue with some Daiya cheeze on top. Let the cheeze melt on top of the burger – you can eat it with or without a bun! 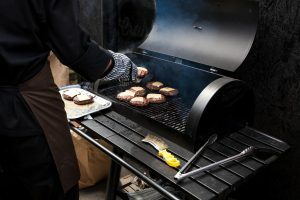 No one will even think your BBQ doesn’t contain meat! 3. Make yourself an amazing chick’n scewer with some Gardein Crispy Tenders, topped with BBQ sauce. It will blow you away! 4. Now it’s time for something sweet. Why not try grilled a slice pineapple with a dollop of Coconut Bliss vanilla island? 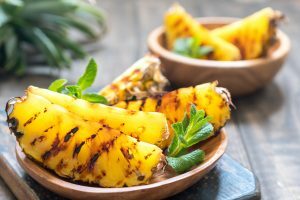 Grilled pineapple – we swear it’s delicious! 5. And for the ones who have a real sweet tooth: make your own s’mores with vegan marshmallows, simple biscuit and some Valsoia Chocolate spread. Mmmmmm! Do you already know which one you’re going to try first the next (vegan) BBQ? Don’t have time to go out for a barbecue? Check out our recipes for more inspiration to cook at home! Or do you want to know where to buy our products? Check out our store locator!